In Curvy and Confident, Vy tells of her life-long struggle with weight loss and how she has lost the same ten pounds over and over…..and over. Finally, an AHA moment restores her confidence. Read her story "Take Center Stage" on p. 251 or on her blog. ight-year old Kevin's Granddad has been encouraging him to love and play the game of golf since he was a baby. Now he is in his first golf tournament. He has a whiff that no one sees. Should he tell the officials what happened? His Granddad taught him that golf is a game of honor but he really wants to give his Granddad the trophy. What does Kevin decide to do? A warm and touching story for grandparents who love the game of gold to share with their grandchildren. Since the horrific night a drunk driver slammed into their car during his driving lesson, young Teddy has had to live with the memory of seeing his beloved father, Stan, die. Now just sixteen, he carries both sorrow and survivor's guilt. Concerned for her grieving son, Mary decides to put as much distance as she can between Teddy and the nightmarish Phoenix intersection that claimed Stan's life. She moves the family to Stan's small Indiana hometown, a place of peace in which she hopes they can build new memories. There, Teddy finds inspiration in an old book his great-grandfather carried with him to America, a book Bulgarian fathers have always read to their sons. Mary also makes an equally life-changing discovery in the small town-Rosetta, Stan's high school sweetheart. The deeper Mary digs, the more she learns of the forbidden love Stan and Rosetta shared. During the Civil Rights Movement, they dared to reach out for love across racial lines. Beginning in 1912 on Ellis Island and told in three voices over four generations, I'll Always Be with Youis a profound celebration of the power of family. 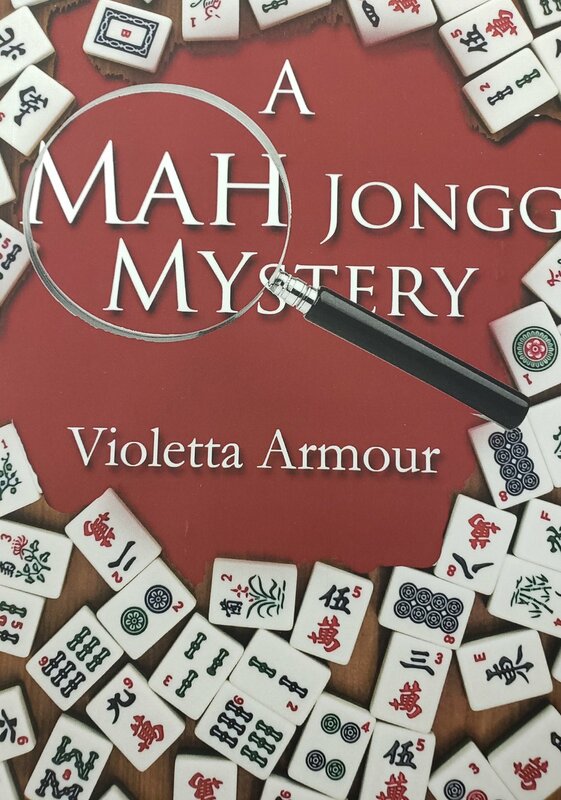 When Myra, one of the Mah Jongg foursome, dies mysteriously, her fellow player and friend Angelina Popoff decides to conduct her own investigation. A widow, Angelina soon becomes enamored with widower detective Guy, who returns her affection but discourages her amateur sleuth tendencies. Stubbornly she persists, botching the investigation and endangering the lives of her fellow MJ players. A story of bribery, revenge and the universal desire for belonging takes the reader on a heartfelt journey of discover and reveals what lengths a person might go to for acceptance. The other two Mah Jongg ladies provide a comic touch as their eccentric personalities resemble the Golden Girls while Guy and Angelina’s relationship proves that even late in life there are second chances for love.